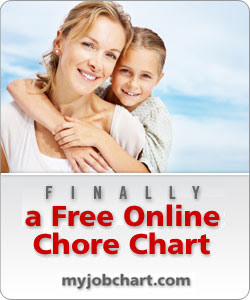 I am so excited to tell you about a really cool FREE parenting tool: My Job Chart! My Job Chart makes it easy for parents to assign chores and more motivating and meaningful for children to fulfill them. My Job Chart facilitates fun, engaging, hands-on learning for kids on the ABCs of prosperity including saving, sharing and spending. My Job Chart gives parents the satisfaction of seeing their kids gain the foundation skills of a strong work ethic and financial responsibility. My Job Chart takes the struggle out of instilling a strong work ethic in kids. My Job Chart is very easy to use. 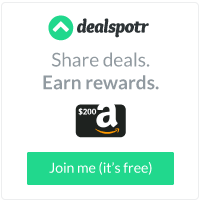 You simply sign up using your email address, add your family members, assign jobs, and manage and customize the rewards that your children will receive when jobs are completed. You can be as specific or as vague as you would like - it is all up to you! Once you have it all set up, you are ready to go! There are currently over 75,000 kids online worldwide using My Job Chart, and 300+ kids are added daily! Want to know more about this awesome free service? Check out this video for more details! Don't waste another day; get started today! This is an unpaid post regarding MyJobChart.com. All opinions are 100% mine. That was a great post. I am going to get this for sure! I've tried doing a chart before, but it just didn't seem to work well. I can't wait to try this one!